No this isn't a train snack cart full of MacBooks. 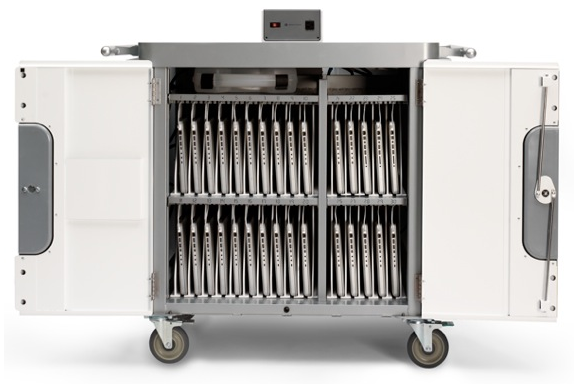 It's a Mobility Cart built by Bretford used to securely transport up to 30 MacBooks and iPads in places like higher education institutions. It can smartly charge 10 Macs at once in a rapid charge with a push of a button and charge Macs that are in need of juice without hurting other Macs that are already fully charged. The entire cart only uses one power cord to power the whole operation. The price for one of these? $1,800.